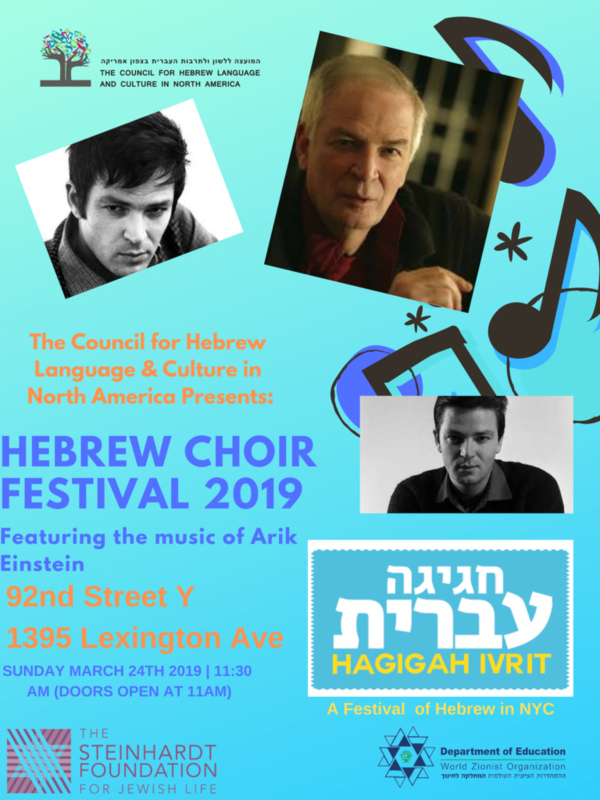 The Council for Hebrew Language and Culture in North America, the World Zionist Organization’s Education Department and the Steinhardt Foundation for Jewish Life are thrilled to announce the Hebrew Choir Festival, 2019! This year we are dedicating the concert to beloved Israeli singer, Arik Einstein, who died in 2013 and left us with a wonderful body of work after having helped to shape the soundscape of Israeli music for several decades. Each choir will perform two songs in Hebrew, one of which should be Arik Einstein’s. The other will be the choir director’s choice (attached is a list of suggested Arik Einstein songs. Each song should be no longer than 3 minutes).